We now offer Velscope oral cancer screening! Click here for more details. I was afraid. She stayed by my side while his assistant helped the Doctor. definitely go back. The procedure was done great, he was gentle and caring. I would like to express my heartfelt thankfulness to Dr. Grosser, I broke my tooth and needed a root canal, but I am no ordinary patient, I am a real chicken with dental procedures that stemmed from a childhood bad experience. I am really scared and I literally have to stop to go to the bathroom during the procedures. I also have to hold my own suction because I have a horrible gag reflex. Anyway you get the picture. Dr. Grosser has always been patient, understanding, kind and compassionate and never judgmental. I thank you for not only making my visits emotionally comfortable but a pleasant one as well. I didn’t feel a thing during the root canal. You have gentle hands. God bless you and your staff. Dr. Grosser is caring, kind and knows his stuff. I am happy to be his patient. I love Dr. Grosser, he goes out of his way for me and my family. The staff is always happy to help and goes above and beyond. 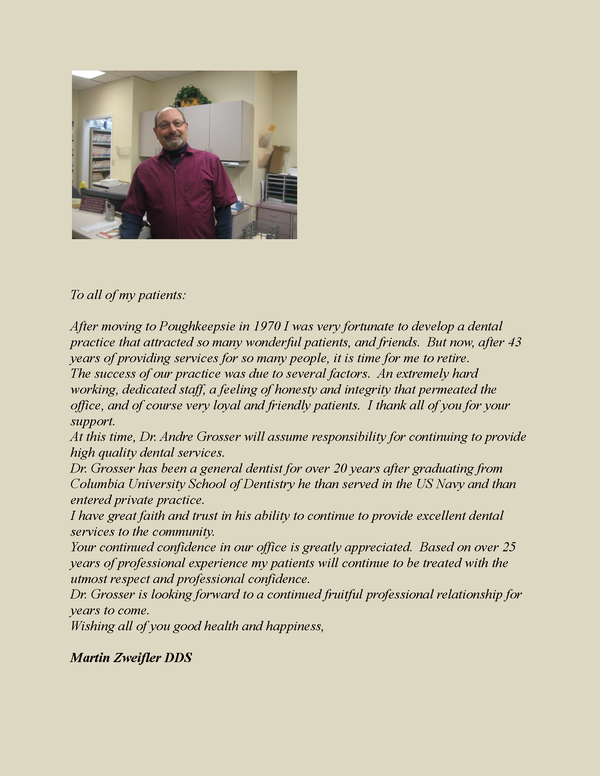 Poughkeepsie dentist, Dr. Andre Grosser is a dental professional dedicated to general, restorative, and cosmetic dentistry with services including dental exams, dental makeovers, teeth whitening, veneers, crowns, x-rays, cleanings, and more. 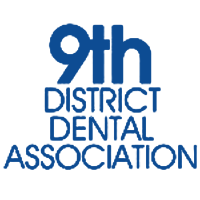 Please call our dentist in Poughkeepsie, NY to schedule your next appointment.